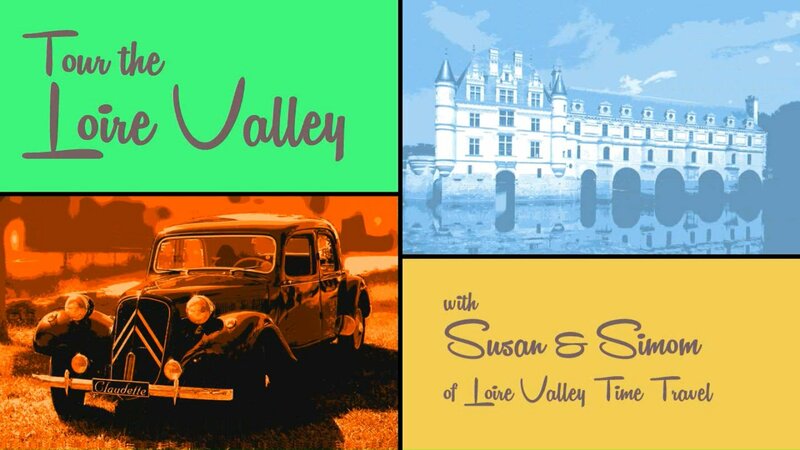 At Loire Valley Time Travel we specialise in personalised tours of France's beautiful Loire Valley. Visit the classic chateaux of the Loire Valley and discover hidden corners that only locals know, dine with farmers and artisans in their favorite restaurants, and visit award winning family run winemakers. Since 2009 we have been using classic 1950's Citroën Traction Avant cars for all of our tours, an iconic vehicle loved by three generations of French people. Although they are now 60 years old you will be amazed by how comfortable the cars are and how much space there is in the back seat. Just sit back and enjoy the envious looks! Using both our classic cars we design personalised tours for groups of up to seven people travelling in a 1950's convoy, and for larger groups of up to ten people travelling in three classic Citroën Traction Avant cars. • flexible one day and longer tours in English with pickup from local hotels and stations. • all entry fees, tasting costs, and lunch with wine in a carefully selected restaurant. To help you make a decision about where to visit, we have designed a number of fully customisable one day and two day tours. In addition to the fully inclusive day tours we also lead guided walks around some of the most famous chateaux. For more information please read our Frequently Asked Questions, send an email, use the contact form or telephone if you have any questions or would like to make a booking.